Waistband Amplifier to be worn on your waist, compact, light, high quality performance. 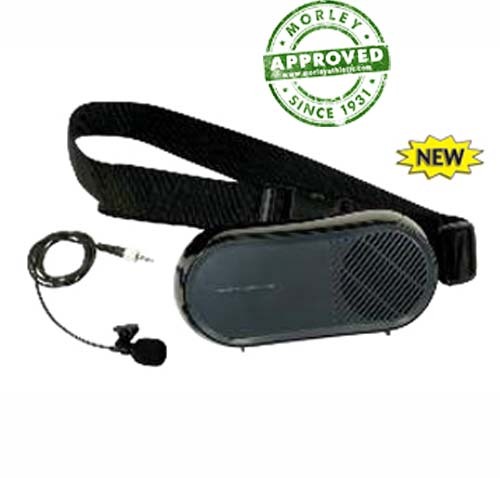 Clip-on microphone for clear sound. 125 foot range, 10 watts, source 6 AA batteries, not included. Ac adapter included, excellent for classroom or conference setting.